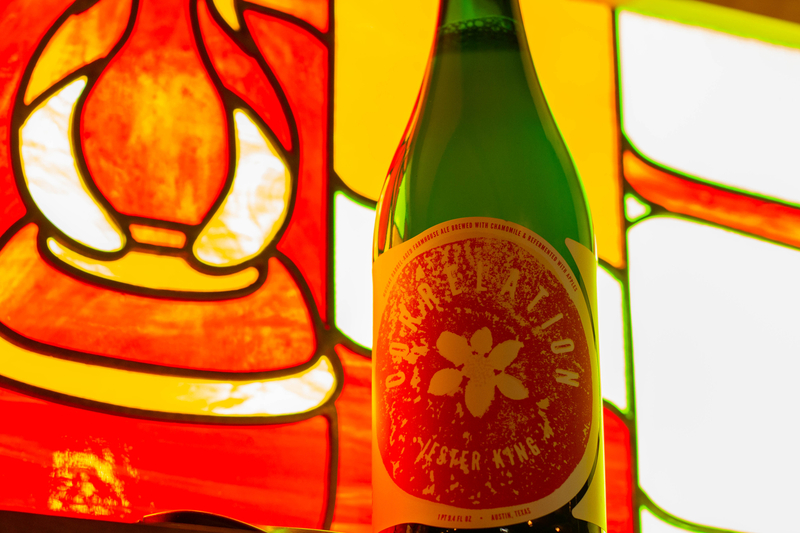 We’re very excited to announce that this Friday, July 27th at 4pm, we’ll be releasing a brand new beer refermented with Texas-grown Gala apples and aged in fresh Muscat wine barrels for over a year called Jester King Correlation! 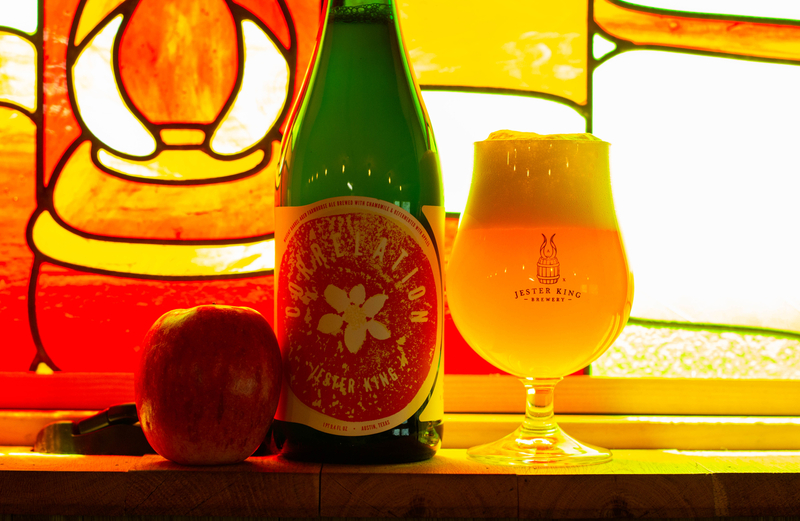 This is the first time we've ever worked with apples. To be totally honest, we were a little nervous about the results being too sulphuric. But in late 2016, we came across some Gala apples grown in North Texas and decided to give them a try. We crushed 250 pounds and refermented the juice and pulp with a farmhouse ale brewed with well water, Texas-grown barley, rolled oats, honey malt, Golding hops, and a touch of chamomile. To our surprise, there was little to no noticeable sulfur production during this process. After refermentation, we sent the beer to freshly emptied Muscat wine barrels for long-term aging! Correlation is 6.3% ABV. It was packaged on March 28th, 2018. 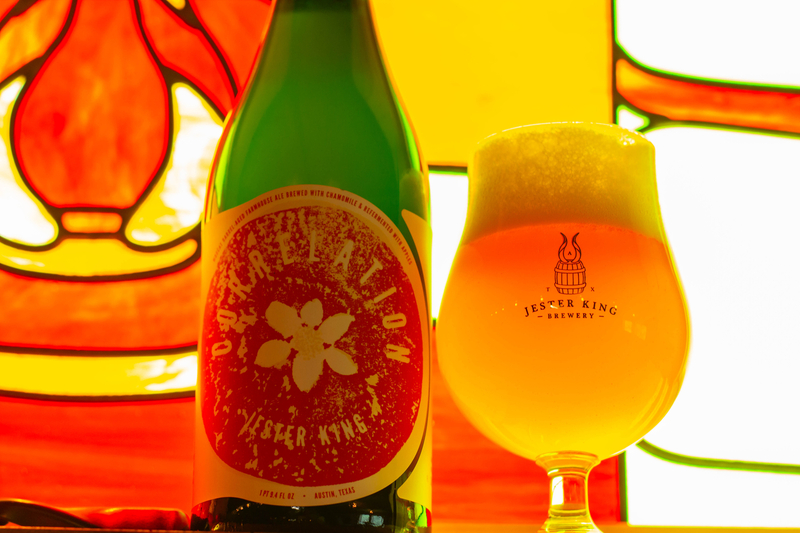 It will be available by the glass and in bottles-to-go (750mL/$24). Around 1,800 bottles are available with a bottle limit of three (3) bottles per customer per day. 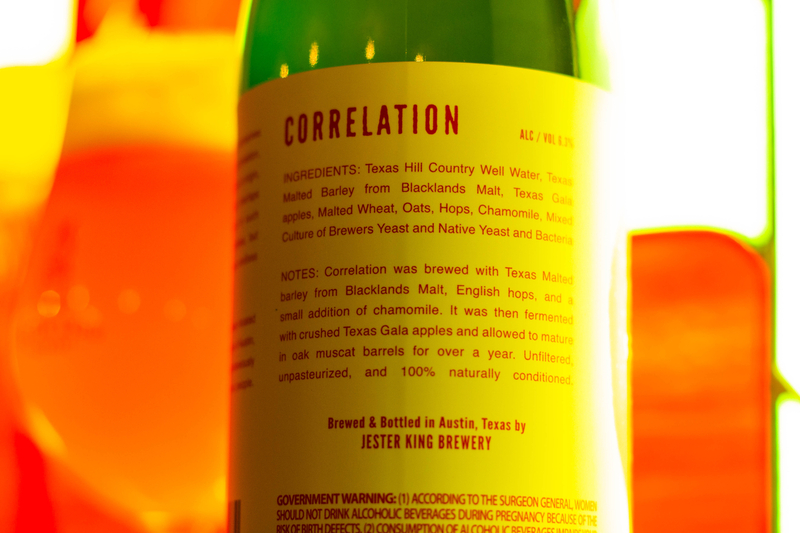 We do not anticipate that Correlation will be available outside of the tasting room aside from special events. The label art is by Josh Cockrell and the photography is by Granger Coats. Finally, it's worth noting that chamomile derives from the Greek word khamaimēlon, meaning "earth apple", due to its apple-like scent. We hope you enjoy this long-term project of ours, and our first time working with apples!